Fits into most cup holders. 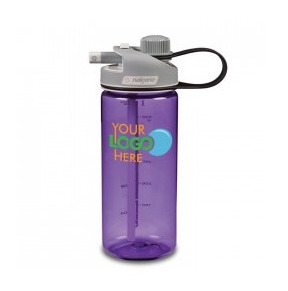 Has a loop top cap that will not get lost and a straw that rotates out so you can drink on the go. Straw locks into place to make a leak proof cap. The cap is made in China. Straw and bottle are USA made.